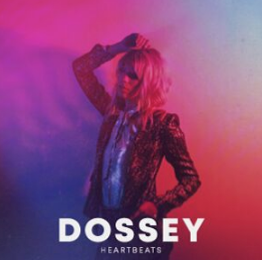 Electropop artist, Dossey, has premiered her new single, "Heartbeats" with Earmilk. "With 'Heartbeats', I wanted to create a song that automatically would put a smile on your face and make you want to dance," Dossey said. "I was so excited to finally have written a happy, upbeat love song that I just had to make it fun and energetic, the way a first love, or in the case of this song, a long-lasting love, can make you feel." "Heartbeats" is available for streaming/purchase on all digital platforms now. In support, Dossey will be having a single release party at Swan Dive in Austin on June 30. For more information, please visit: dosseymusic.com. Dossey is the electro-pop alter ego of artist/songwriter/enigma Sarah Dossey, who derives her sound from a truly eclectic appreciation of music and art. As the banjo playing member of Austin-based folk/bluegrass trio Indian & the Jones, Dossey's sound as a solo artist is very much influenced by traditional American folk, all through the funnel of 1980s synth pop and new wave. A songwriter at heart, her music is always built on a foundation of a catchy, memorable hook, paired with a danceable beat. Dossey has been an officially Featured artist on Noisetrade, and has received nods from indie blogs like The Deli, Parachute Music, One Stop Record Shop, and Wolf in a Suit. 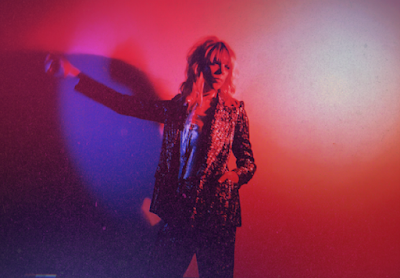 She was also nominated for Deli Magazine's Best of Austin poll, and the video for her cover of Peter Gabriel's In Your Eyes was included as an official selection of the Austin Music Video Festival in 2017. Released in April of 2017, Dossey's debut EP, Electric, is currently at 100,000 total streams and counting between Soundcloud and Spotify alone. Her official music videos boast over 6000 views on YouTube since the summer of 2017. Now, Dossey is following up on the success of this debut with "Heartbeats", available now for purchase/streaming.